Midwest Industries offers some of the best handguards in the industry today, available now on sale from AR15 Discounts. 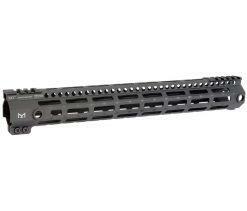 Right now AR15 Discounts carries the Midwest Industries Lightweight Free Float M-LOK™ Handguard in three sizes: 10.5’, 12”, and 15”. 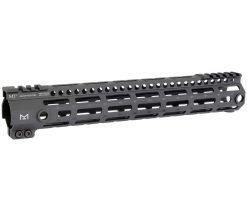 With its super lightweight design and professional grade, one piece free float design and construction, the Midwest Industries Free Float handguard will make the perfect addition to your AR15 build. 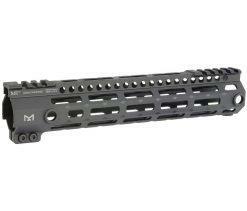 We could go on for pages about the incredible features of the Midwest Industries Lightweight Free Float M-LOK™ Handguard and the benefits it will bring to your custom build. Made of 6061 aluminum and hard coat anodized, this product will last a lifetime— and it’s guaranteed by Midwest’s lifetime warranty. With its patented Torque Plate System, Eight sides of Magpul® M-LOK™ slots, five anti-rotation QD sling swivel sockets, and high quality MIL-STD 1913 top rail, Midwest’s handguard is a cut above the rest. Fully dehorned for a non-abrasive, comfortable feel, the Midwest Free Float handguard is quite the steal, especially when you grab it on sale now from AR15 Discounts. The proprietary barrel nut and barrel nut wrench are both included with your order, as well as shipping costs when purchased from AR15 Discounts.